The American Health Care Association (AHCA) is the nation’s largest association of long-term and post-acute care providers. AHCA represents the long-term care community to the nation at large, with its members providing essential care to approximately one million individuals in over 13,500 not-for-profit and proprietary member facilities. 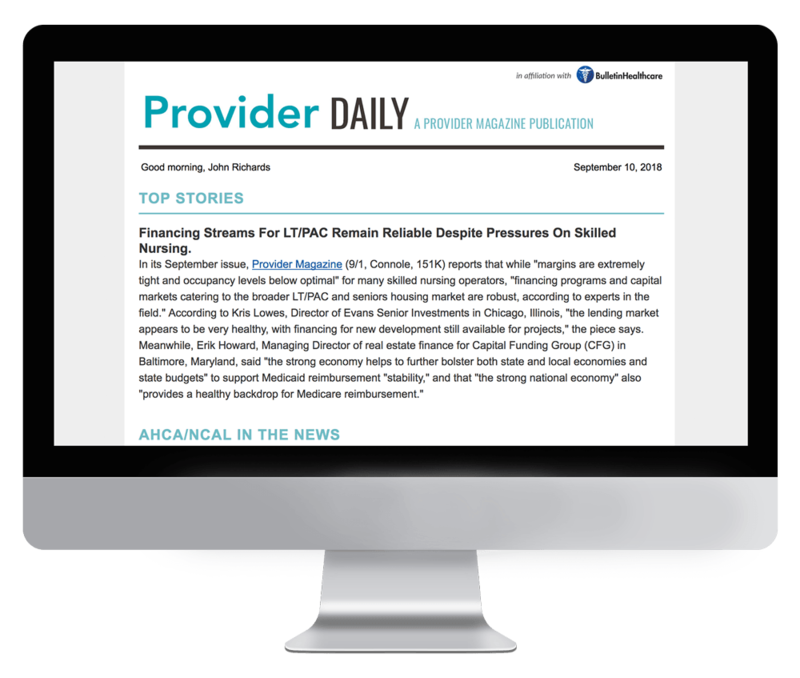 Subscription to Provider Daily is exclusively limited to AHCA members. If you are a member of AHCA and would like to receive this briefing, please reach out to the association directly.